<B>NEW STUDENT GETS OLD TEACHER</B><BR> <BR>The bad news is that Cara Landry is the new kid at Denton Elementary School. The worse news is that her teacher, Mr. Larson, would rather read the paper and drink coffee than teach his students anything. 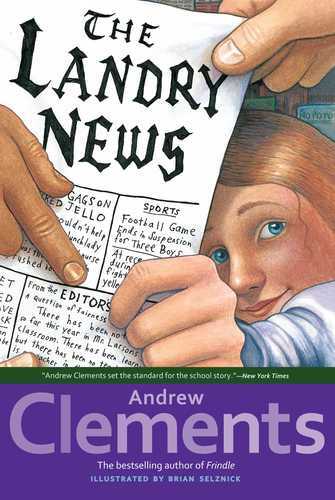 So Cara decides to give Mr. Larson something else to read&#8212;her own newspaper, <I>The Landry News.</I><BR> <BR>Before she knows it, the whole fifth-grade class is in on the project. But then the principal finds a copy of <I>The Landry News,</I> with unexpected results. Tomorrow&#8217;s headline: Will Cara&#8217;s newspaper cost Mr. Larson his job?